Classified ads for old, vintage and classic boats. 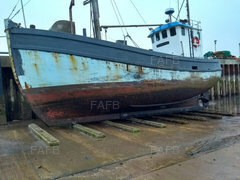 Find the old favourite boat design you've always wanted on Find a Fishing Boat including wood clinker boats, classic trawler yachts, lifeboats, heard tosher boats and skiffs. When buying a boat its best to use the Bill of Sale form as a receipt. Click here for bill of sale.